It is a fact: it is more expensive to acquire a new customer than it is to drive additional revenue from known customers. While statistics range from 3 to 30 times more expensive, depending on the source, the message is clear: chasing potentials over courting current customers is simply not cost effective. Despite this, 63% of marketers believe that customer acquisition is the most important goal for their advertising. Organizations are so focused on driving revenue from new customers and then moving on to the next that they miss opportunities to drive further revenue from these prospects-turned-customers in the future. One metaphor makes the comparison that there are two distinct approaches to pursuing business: hunting and farming. However, organizations don’t have to choose between hunting and farming; we can be both. Highly-trained and capable, our nomadic ancestors moved from place to place in search of sustenance. When they weren’t battling the elements, they were competing for food with wild animals and other human rivals. When supplies ran out in one location, they moved on in search of the next refuge. When they found themselves in the right place at the right time and with the right tools, they were successful. When they were not, they went hungry. Many of today’s organizations operate like those early nomadic hunters. Instead of hunting for the next big kill, we hunt for the next big sale. Focused on the search for new customers, we give priority to marketing tactics that bring in quick acquisitions and big deals, seeking to close as many as we can, as quickly as we can. To do this, we try to find a prospect who is ready to buy right now. Once a deal has been closed, we move on to the next opportunity. Hunting and gathering may put food on the table, but we stopped doing it a long time ago, and for good reason. Being a hunter is hard work, and unreliable. The same can be said for hunter-types organizations. A strategy of relying on cold calling and warm leads can be effective at driving immediate revenue but requires a lot of work with no guaranteed return or plan for future growth. If our organization spends all of its time “hunting” for new customers, then we will have missed out on a deeper customer relationship beyond the hard sell. Farmers who planted seeds in the spring and nurtured them over the summer were able to reap the benefits in the fall. While it took time to cultivate the land, the back-breaking work was worth the effort: the food supply increased and became more steady, providing a year-round supply. Just as a farmer nurtures his crops and livestock, organizations must nurture their customers. But in addition to nurturing their current customers, we must also work to build a relationship with prospects as well. While these prospects may not be ready to buy today, planting the seeds of brand advertising and nurturing that relationship with relevant content makes it more likely that they will think of us when they are ready to buy. The same can be said about our current customers – by continuing to build on our already existing relationship, we ensure that we are their top choice when they are ready to buy again. We will get the sale because we invested the resources in building a relationship with our audience, rather than focusing only on the quick sell. 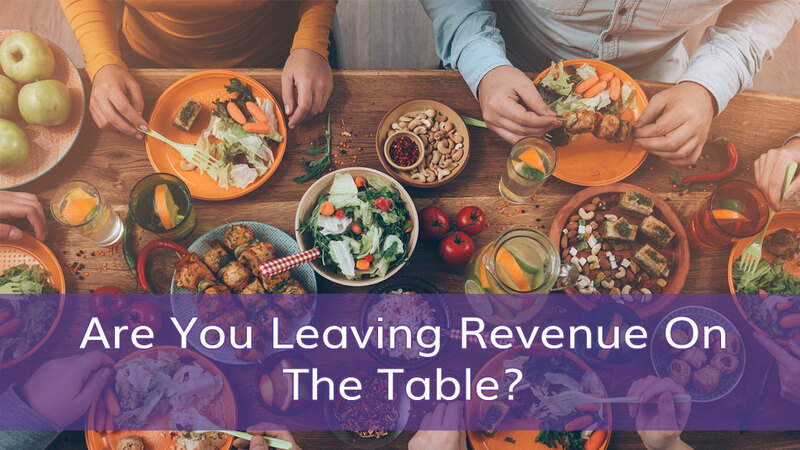 While these “farming” practices help to create qualified leads, it will take time for these prospects to move through each of the consideration states and for you to realize a return on investment. So farming alone isn’t the answer, either. While both hunters and farmers are technically able to feed their families, they are more successful when they work together. The same applies to marketing and sales. If we align our sales and marketing efforts to implement a cross-strategy that combines hunting and farming techniques, we increase the chance of our sales team being in the right place at the right time. This hybrid approach, which focuses on all of the consideration states, can drive sales now while simultaneously filling the funnel for the future. This means that we must deliver relevant and timely content to our target audience before they even know about our brand, product or service. If we don’t connect with them as early in the process as possible – if we don’t plant the seed of interest – then we have missed an opportunity, and another season will go by without being able to reap the benefits. Our ability to deliver the right message at the right time continues as the prospect moves through each of the consideration states: if we try to push sales messaging on an audience who is not yet ready to buy, they will ignore us, or worse, be so alienated by your message that they will not do business with us in the future. Conversely, not speaking to them means we could lose them forever. By creating a hybrid approach, we can develop a loyal client base and drive short-term sales.